Air Zone	San Antonio is your premier AC repair and HVAC contractor out of San Antonio, TX, ready to service all your heating and air conditioning needs! We are a dedicated air conditioning repair service and central AC installation provider, capable of providing quality and efficient HVAC installation, repair, and maintenance as well as duct work installation. We are here to assist you by providing premier HVAC services, ensuring you get the comfort you need at home no matter the temperatures you face. Since 1989, we have been offering our repertoire of services, including air conditioning installation, heating repair, AC repair, air conditioning installation, and other HVAC services to the San Antonio-area. We are committed to providing trust and integrity in our services, even offering a free second opinion on all our services. We are committed to our craft and workmanship, all while providing our clients with complete customer satisfaction. We also provide information on how to earn CPS rebates on energy saving equipment utilizing higher SEER ratings, guaranteeing that you save on your energy consumption throughout the months. We are here to ensure that you don't have to suffer through the sweltering days or cold nights. 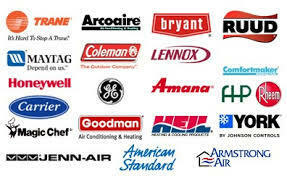 Our HVAC technicians are dedicated to bringing you only the utmost quality repairs, maintenance, and installation. We will have your air condition installation and other HVAC installations done quickly and efficiently so you can begin to enjoy your rooms at the temperatures you desire. To enlist the assistance of an HVAC contractor dedicated to delivering solutions, give us a call at Air Zone	San Antonio today!